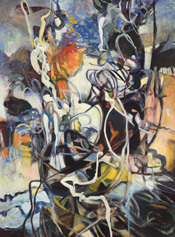 These large–scale oil paintings on canvas reflect my ongoing investigation of layered line, shape and color. 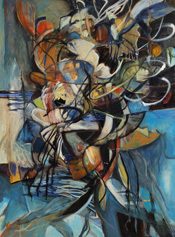 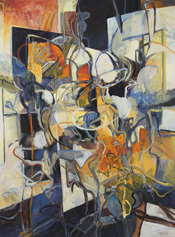 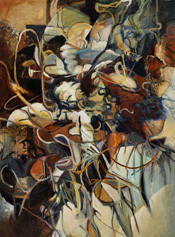 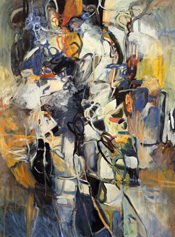 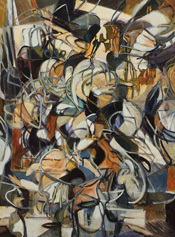 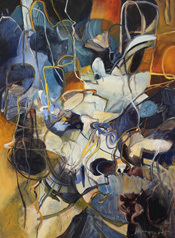 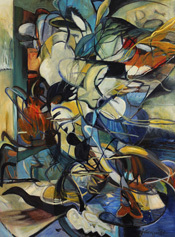 Dissolving and surfacing forms connect and separate to convey the essence of movement and exuberant energy. 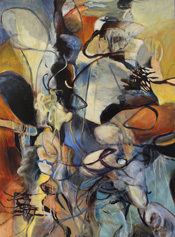 Taking inspiration from personal memory, current events and rhythms of music and dance to describe and communicate a lively painted performance in a charged contained atmosphere.